The ski resort Le Grand Bornand is located in Bornes Aravis France, Auvergne-Rhône-Alpes, Savoie Mont Blanc, Haute-Savoie, nestled between Mont Blanc and Lake Annecy offers a wonderful balance between a mountain village with 400 rustic chalets and part of the select club TOTFA (top of the French Alps), a recognition of 15 most prestigious destinations in France. 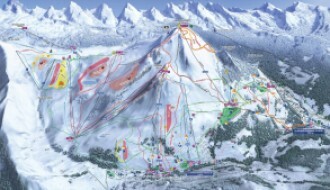 For skiing and snowboarding, there are 86 km of slopes available. 30 lifts transport the guests. The winter sports area is situated between the elevations of 1,000 and 2,100 m.
Le Grand-Bornand combined with Nordic ski areas is often referred to as one of the most spectacular areas in the French Alps, making this a favourite choice of destination for any winter sports fan. The resort caters for all levels of skiing and snowboarding, offering guests 49km of easy beginner runs, 29km of intermediate slopes and 8km of difficult terrain. 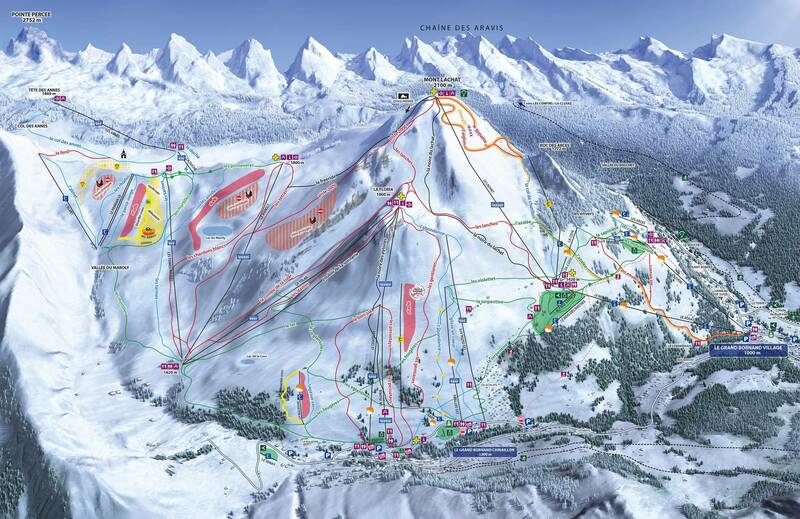 Intermediate and difficult runs are at the higher part of the mountain and if guests take the Le Lachat to the highest point at 2,100m they will find an array of slopes to explore. 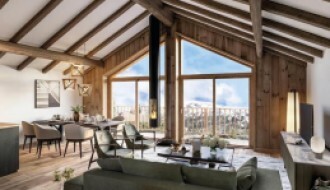 Around the mountain guests are able to find various restaurants, para gliding is available and a wonderful way to see more of the French Alps, overall this resort is a wonderful, welcoming destination for al to enjoy. Beautifully renovated original farmhouse with mature garden and wood pellet/solar heating. 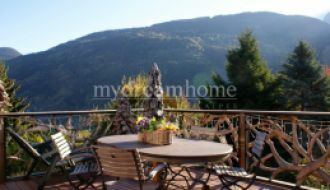 Enormous chalet with stunning south facing views and separate 1 bed apartment. Perfect gite.